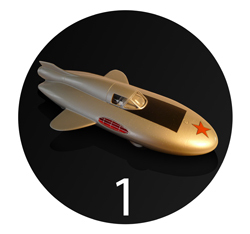 Record streamlined car based on POBEDA chassis. 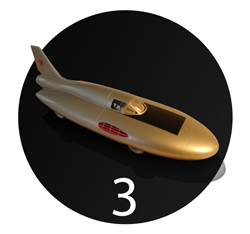 This record car was based on same chassis as previous svesda’s but was the fastest of all. 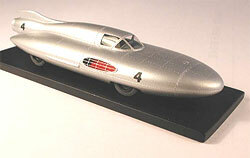 Record super streamlined car fitted with a 2700kgp jet engine from MIG 17 fighter. Record rocket shaped car fitted with a MIG 21 jet engine. Record streamlined car fitted with a 2.5 liters engine. 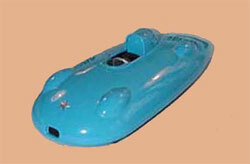 This record car was the smallest in the svesda serie. 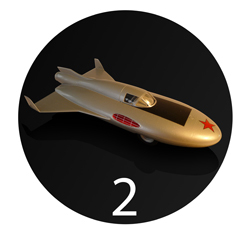 Last version of this record rocket shaped car fitted with a MIG 21 jet engine.